Viatical settlements involve the sale of your life insurance policy once you have become chronically or terminally ill. Depending on your type of life insurance coverage and insurance carrier, you may have certain policy provisions within your life insurance policy that allow for an advance of your death benefit. This life insurance settlement option should be explored, especially if you need cash to pay for the high cost of care. You will most likely find that if you are expected to live beyond six months and have no cash surrender value; your financial options are can often be very limited with respect to your life insurance, apart from a viatical settlement. Viatical companies fulfill certain and distinct roles in the viatical settlement process. A viatical settlement provider typically fills orders for viatical investments or often purchases viatical settlements for their own account. Whereas a viatical settlement broker has a fiduciary responsibility to you, the viator. Viatical brokers should shop your insurance policy to the highest bidding viatical providers that are licensed in your state. 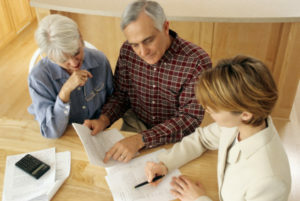 It may be easier to associate the sale of your life insurance policy with real estate. There are typically a buyer’s agent and a seller’s agent in a real estate transaction with respective fiduciary responsibilities. You can go directly through the selling agent if you are purchasing a home and may get a better deal from the agent with respect to their fee, but you may also put yourself in jeopardy of making a mistake in assessing value that no one on your side of the transaction is aware of. Real estate value is typically determined by an appraisal. The same is somewhat true with viaticals. With real estate, your location, structures, land and various other variables are assessed against recently transacted property closings. Though your insurance company, policy size and type are all factors in the value of your viatical settlement; the largest variable is your LE or life expectancy. One of the most important viatical companies in the industry works behind the scenes. The life expectancy provider assesses your life expectancy based upon your medical information and your physician’s prognosis of your health. Once the life expectancy provider has provided an LE, the viatical providers can then do their internal calculations on your policy to arrive at a value in the viatical market. Life expectancies have been a hot topic in the life settlement and viatical industry. There are typically few complaints from the viator or seller side. Once you sell your insurance policy for cash, your responsibility is complete apart from providing quarterly updates of health status and address changes. Though viatical settlements, life settlements are essentially the same thing, their taxation varies. The definition of a Viatical is selling your policy when you have less than 24 months to live. This stipulated period is crucial in assessing viatical settlement taxation. If your life expectancy is beyond the definition of terminally ill as defined by your state, the proceeds of your life settlement may be considered partially taxable, based upon what you have paid in, cash value and the ultimate sales price. Viatical settlement taxes are not typical if you are deemed terminal by your State’s definition. A tax expert should be consulted in all cases once you have a projected value of your insurance policy. The fact that some life settlement proceeds may be deemed as ordinary income and may affect certain senior government programs that are based upon income thresholds is often overlooked. You should explore all of your options and always secure your own, independent viatical settlement appraisal before initiating the sale of your life insurance policy. The viatical settlement process can seem onerous, but much stress can be alleviated if you know on the front end what your life insurance policy could be worth in the secondary insurance market as a viatical life insurance settlement.